The Federation’s Community Leadership Institute (CLI) is a highly competitive training program for the future leaders of Jewish institutions and non-profit organizations across Los Angeles. An incredible opportunity for young professionals ages 25-40, this 15-month leadership training program provides the tools, knowledge, and connections needed to become an effective Jewish communal leader. CLI participants attend monthly meetings and workshops, honing their leadership skills, and learning all about Jewish non-profit initiatives in L.A. 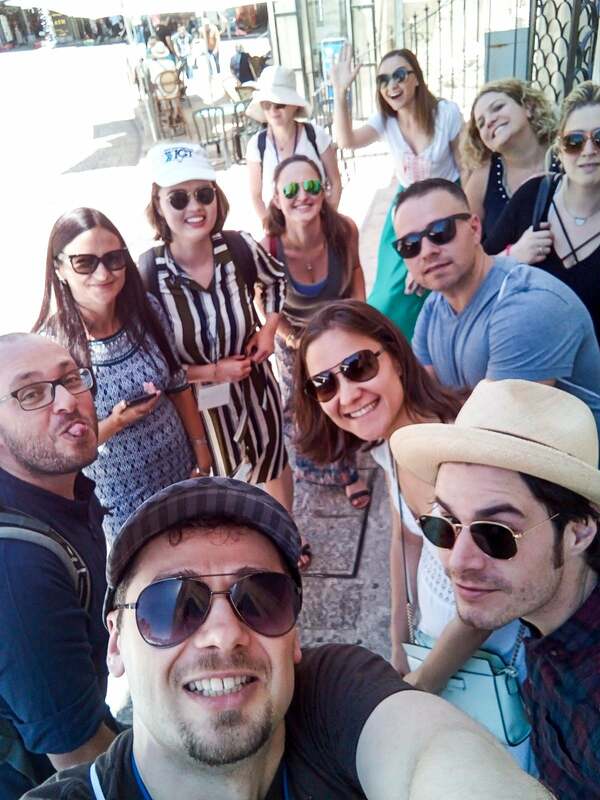 They travel to Israel with other participants, deepen their connection to the global and local Jewish communities, and cultivate relationships with esteemed leaders of the Jewish community. 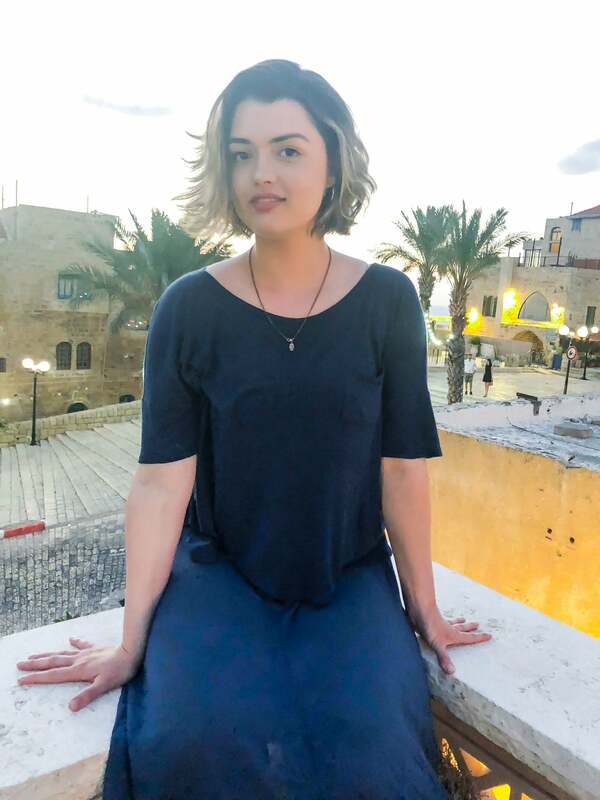 Alisa Kasimova, current CLI participant in the Russian Jewish Leadership track, recently traveled to Israel for 10 days with CLI. Read more about her experience! As the bus rolled across the burning, sun-kissed ground, I rushed out and looked up at the sky. It was the same shade of blue as in L.A. 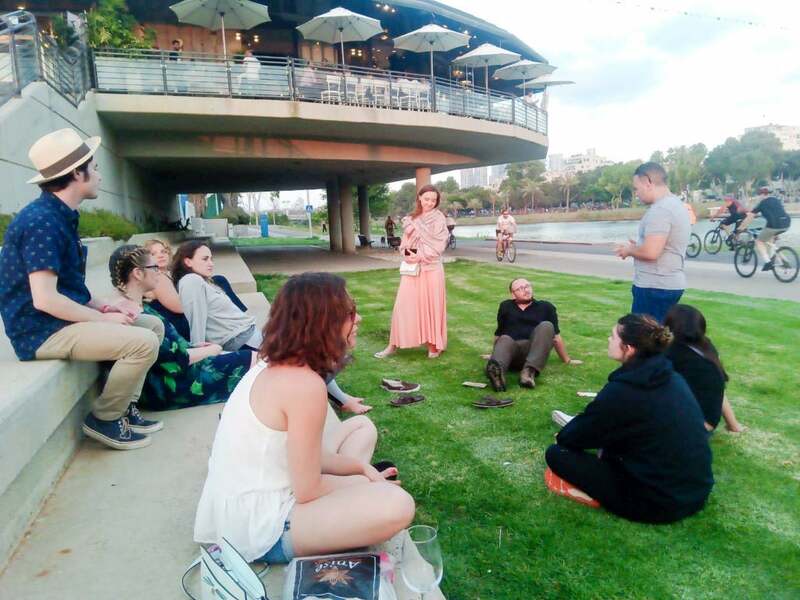 Exhausted from our travels, we schlepped our luggage to our rooms to rest and get ready for our first evening in Jerusalem, joined by educator Chaya Gilboa, who shared her work on finding the meaning of the Jewish identity. As a people — the Jewish nation — we all come from various nationalities, struggles, languages and even subcultures, though one value unites us: knowing that we are Jewish. 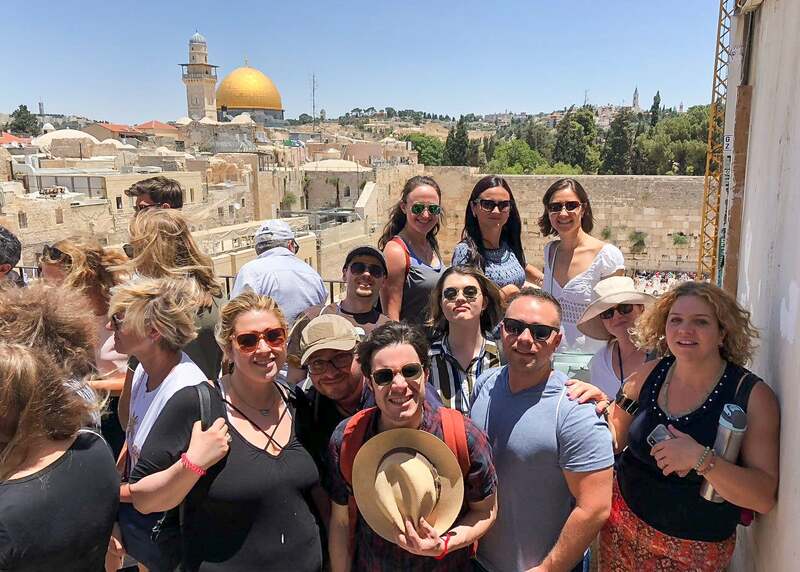 During our trip, we walked around the Old City, visited the Western Wall Tunnels, learned about the history of Israel, and the responsibility we bear to not forget where our ancestors came from and what they had to survive in order for us to sustain our Jewish heritage. We visited Yad Vashem, Israel’s national memorial to the Jewish victims of the Shoah. We grieved collectively at Mount Herzl for our fallen soldiers and learned what true community is; several stories of “lone soldiers” who were killed during their service and how the Israeli people came together — 30,000 at one memorial, 20,000 at another — to pay respect to the soldiers whose families weren’t with them in the Holy Land. Something the rest of the world can learn: what does it mean to truly stand together? To be there for each other? To be not just a nation — but a community? We went to the Knesset, the Israeli parliament, to hear two opposing politicians speak about their work. We visited the people of Yad Mordechai, a Gaza border community that lives in close proximity to Gaza, and how their children grieve and overcome their daily PTSD. We drove to Nativ Ha’asara to visit a Path to Peace: a mosaic project started by a woman who lives on a moshav by the Gaza Strip, depicting how her daily life has been inflicted by anxiety and fear for her children’s safety. The project represents how she has found her own individual way of contributing to a more peaceful world — by decorating the border security wall. A symbol of many years of war now stands adorned with colorful ceramic plates, with like “love,” “together,” and “freedom.” In unity for her neighbors, she had written “Salam” in Arabic, inviting them to her campaign for peace. Then we came to Independence Hall and learned how Israel was established. We stood in the same room as David Ben-Gurion and Golda Meir once stood, while hearing Hatikvah — “The Hope” — Israel’s National Anthem, ending the moment with an overpowering obtrusive silence, lost in a vague subconscious memory of the struggles our ancestors surpassed for us to be able to travel with The Jewish Federation of Los Angeles to our homeland, our heartland — our Israel. Strolling down Rothschild Boulevard in Tel Aviv, this now young city that once was an empty, barren desert, we ended up at the Carmel Market, showered by hummus and halva. 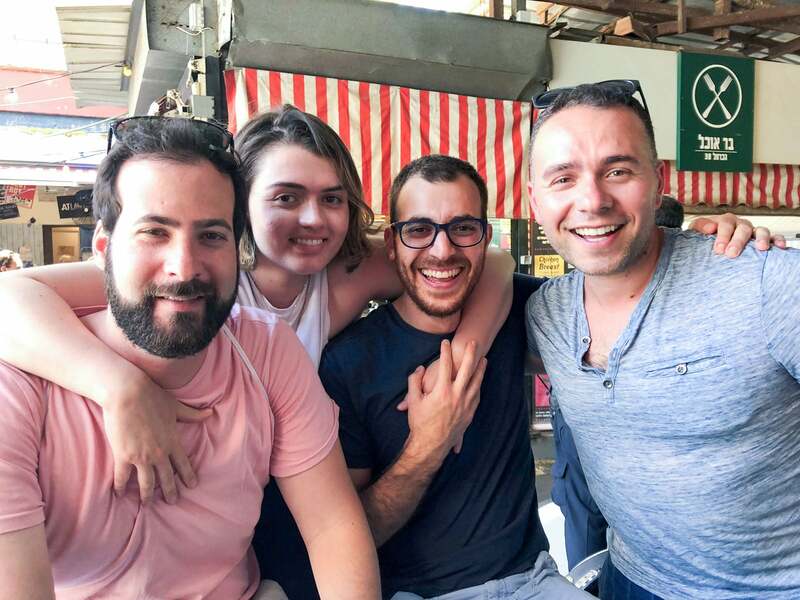 Israel, dubbed “The Startup Nation,” has incredible innovative start-ups and non-profits such as Eli Beer’s United Hatzalah and Rony Zarom’s Unistream, which taught us how one person can change their communities and that nothing can stand in our way as long as our heart is in the right place. We had the most beautiful shabbat by the beach filled with songs, live music, and dancing. During Havdalah, we gathered by the beach again, holding hands in a circle, lighting our candles, singing our prayers, and then three curious Muslim teenagers came by and joined our circle. After humorously trying to understand what was going on, their participation turned to mere observation, and we proudly continued, ending our shabbat with joy and laughter. Walking away, I glanced back at our unexpected guests, remembering the Gaza Strip we visited a few days prior. If I continued to stay curious — just like those kids — willing to experience the unknown and welcome others along, could I dare to hope for a brighter future? Hope, for us not only as a Jewish nation, but one collective world, one community, united in acceptance of each other, and driven by our innocent childish inquisitiveness and our unconditional love for our neighbors. What a wonderous ploy Hashem played on me, allowing me to meet those kids on the beach. I looked up at the sky — the same shade of black as in L.A.
How can I explain everything I learned during this copious trip? How can I explain that visiting Israel the first time fundamentally changed me? My whole life I’ve felt like an alien — a stranger among close friends. Visiting Israel felt as if my soul had shifted into its appropriate alignment with my heart. The peace and serenity immediately left as I crawled into my Uber in L.A. My heart was now longing for not what was before unknown to me, but yearning for what I now understood has always been part of me, living for today, striving for a better tomorrow. As long as in the heart within a Jewish soul still yearns, onward, towards the ends of the east, an eye still gazes toward Zion. Is our hope not yet lost? This hope of 2,000 years old, this hope for peace, this hope for a united community, amongst our brothers and sisters of all nationalities, of all struggles, of all languages, and of all cultures. I finally had arrived from the airport and was walking up the stairs towards my apartment. I looked up at the sky and pretended I was still back home. Alisa Kasimova graduated from European Film College in Denmark, studying multimedia design and visual communication at Copenhagen School of Design and Technology. She is a new member of The Junior League, has managed several restaurants, and is currently in an office certification program and working at a real estate office. She hopes to open her own real estate office one day. To learn more about CLI, email CLI@JewishLA.org or visit www.yaJewishLA.org/cli.